The best way to fit the park's highlights into a short timeframe. Expert guides and the organisation of tented dome accommodation, transport and meals remove all distractions from the pure joy of trekking. 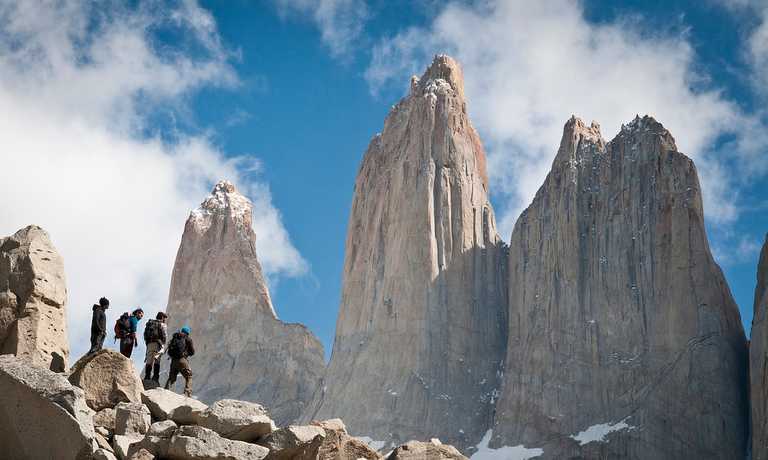 Get up close to the famous granite towers, the mesmerising French Valley and the shimmering blue ice of Grey Glacier. At 7.30am we pick you up at your lodging in Puerto Natales. 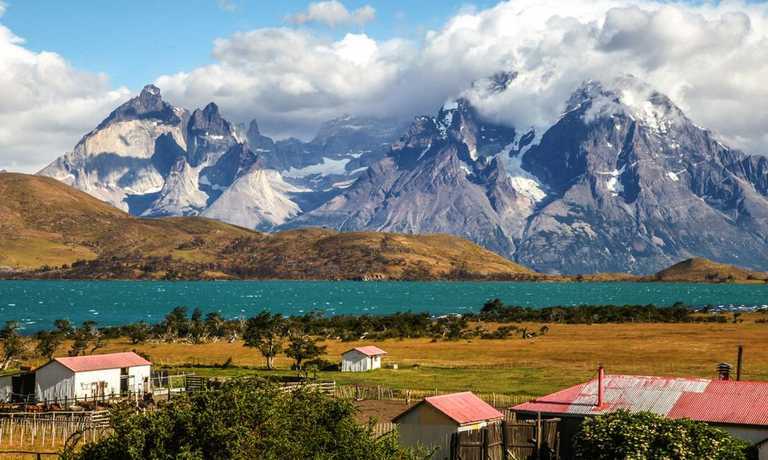 Our transfer takes us along an unpaved road heading to Torres Del Paine. When entering the Park, we will have excellent photo opportunities of guanacos (llama family) and Grey foxes, driving alongside lagoons frequented by Chilean flamencos and black-necked swans. We will start our first day by taking a catamaran across the Pehoe Lake. From here we commence our trek to the French Valley. 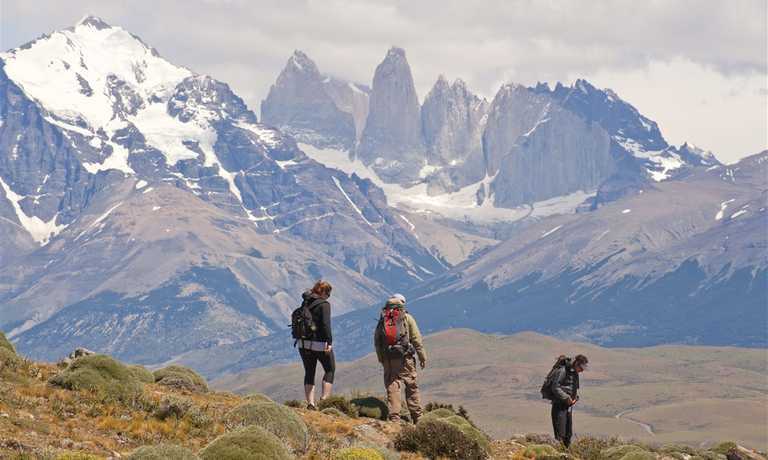 We will follow the southwest side of Paine Grande, the highest summit in the Park, walking through native forests of fire bush and evergreen beech (Nothofagus Bethuloides), up to the hanging bridge over the French River to observe the first glimpses of the hanging glacier. Then we will ascend (300m) for one hour amidst a surreal Japanese garden landscape, crossing beech forests to reach a viewpoint. Here, we will be presented with magnificent panoramic views as we enjoy a nourishing lunch. We will drive inside the main areas of the park all the way to the Serrano River where we will stay in a comfortable riverside camp, sharing dinner together. At 9.00am we start our adventure to the Glacier Grey by boat. To reach the boat, we will walk through a mature beech forest where we might glimpse woodpeckers. We will navigate about one hour through icebergs of different tones of blue up to the Grey Glacier, where we will stay for a while in front of the glacier in the hope of seeing icebergs calve. We enjoy lunch at the shore of the Pingo River then head to the Pingo Valley for a walk to the "Cascada los Salmones", stopping to take in the view before returning back along the same trail, with a chance to find the elusive Huemul (Andean Deer). Our return journey will take us back to the riverside camp, where we will spend a second night. We will rise early to get to the trailhead for our trek to the base of the Towers, following the Ascencio River to enter the Ascencio Valley. 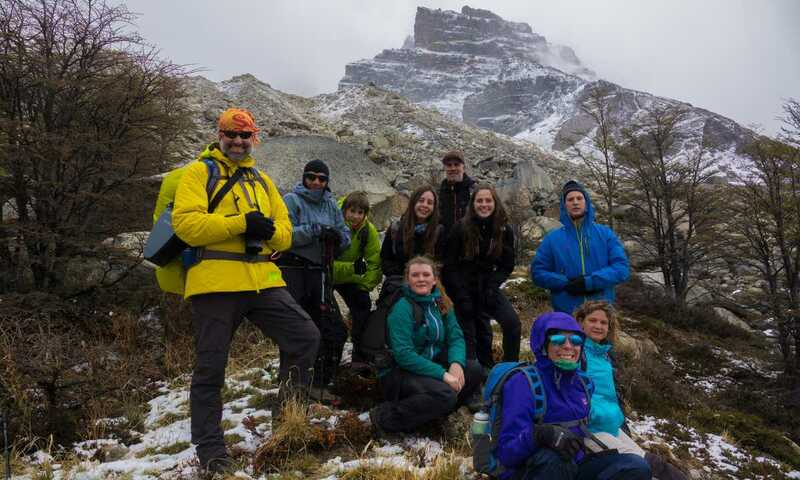 Our walk will be uphill for one hour before stopping to observe the first glimpses of the valley surrounded by unbelievable beech forests (Nothofagus family), glaciers and waterfalls. We'll continue through the valley for another hour and a half before ascending a huge terminal moraine to a lookout (900m), excellent for picture taking. This amazing view will be accompanied by lunch to add to the enjoyment. After being awed by the towers we'll start our descent. We will travel back to Puerto Natales by private transfer, arriving at approximately 7.30pm. The long hikes were challenging, but well worth it, and it was delightful to have the glamping at the end. The tents were lovely. More hot water would have been even better in the showers, but it was otherwise terrific. 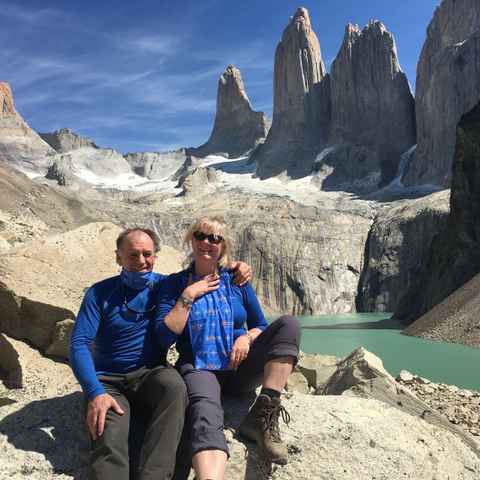 The 3 day Torres Del Paine is great for those on a budget or lacking time - you do and see everything you would want and it's all made so easy. What an amazing week. Words and pictures cannot express the joy felt in this beautiful wilderness. Thank you to our wonderful guides and gaucho.